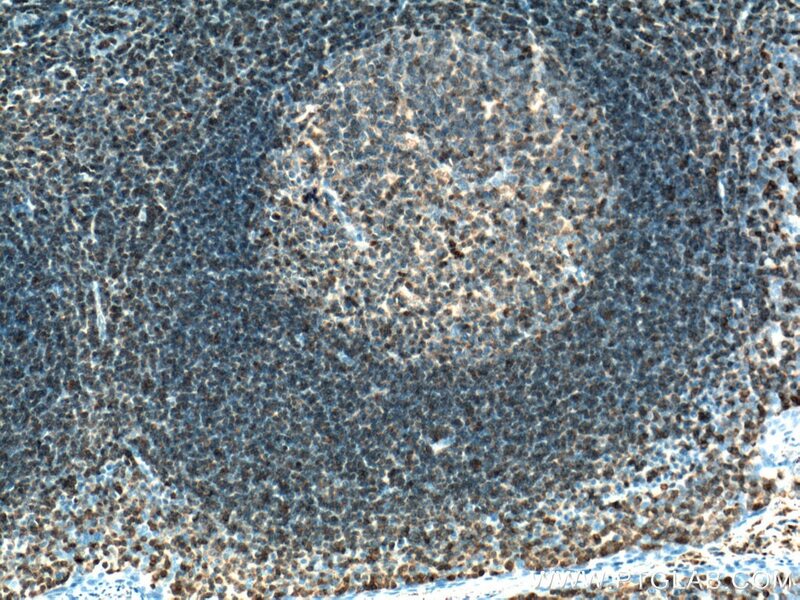 Immunohistochemical analysis of paraffin-embedded human tonsillitis tissue slide using 66054-1-Ig (ARHGDIB antibody) at dilution of 1:10000 (under 10x lens) heat mediated antigen retrieved with Tris-EDTA buffer(pH9). 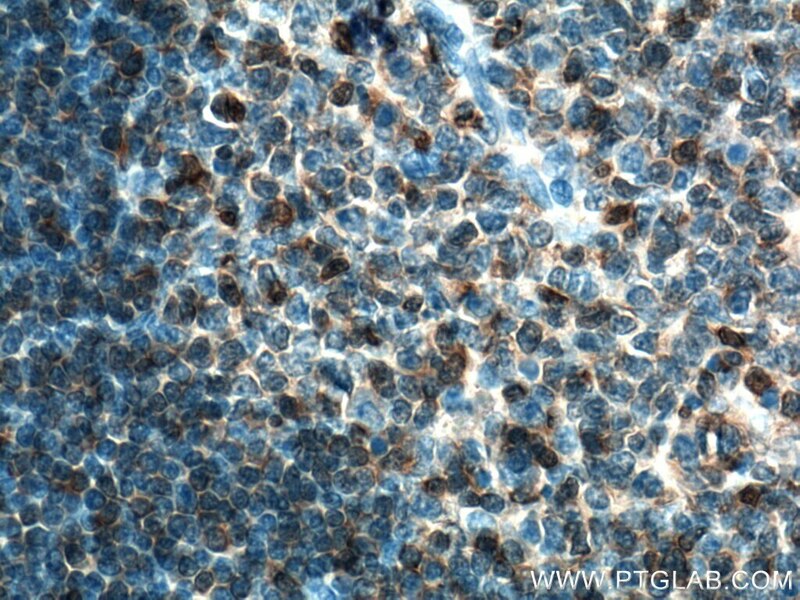 Immunohistochemical analysis of paraffin-embedded human tonsillitis tissue slide using 66054-1-Ig (ARHGDIB antibody) at dilution of 1:10000 (under 40x lens) heat mediated antigen retrieved with Tris-EDTA buffer(pH9). ARHGDIB, also known as RhoGDI2, is a conserved member of the RhoGDI family and plays an important role in cell migrations. It regulates the GDP/GTP exchange reaction of the Rho proteins by inhibiting the dissociation of GDP from them, and the subsequent binding of GTP to them. It is mainly in hematopoietic, endothelial, and epithelial cells. It has been linked to tumorigenesis and metastasis. 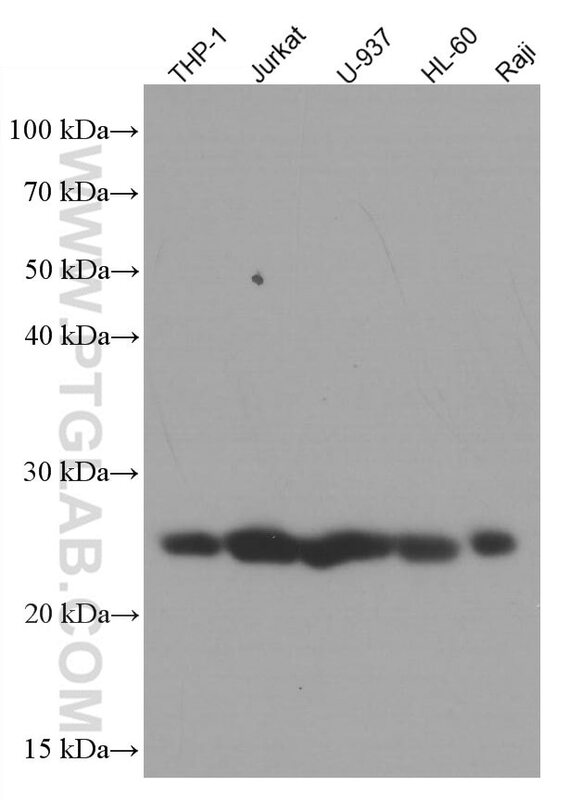 RhoGDI2 expression is downregulated in several cancer types, such as bladder, lung and lymphoma, but is upregulated in prostate and gastric cancer. 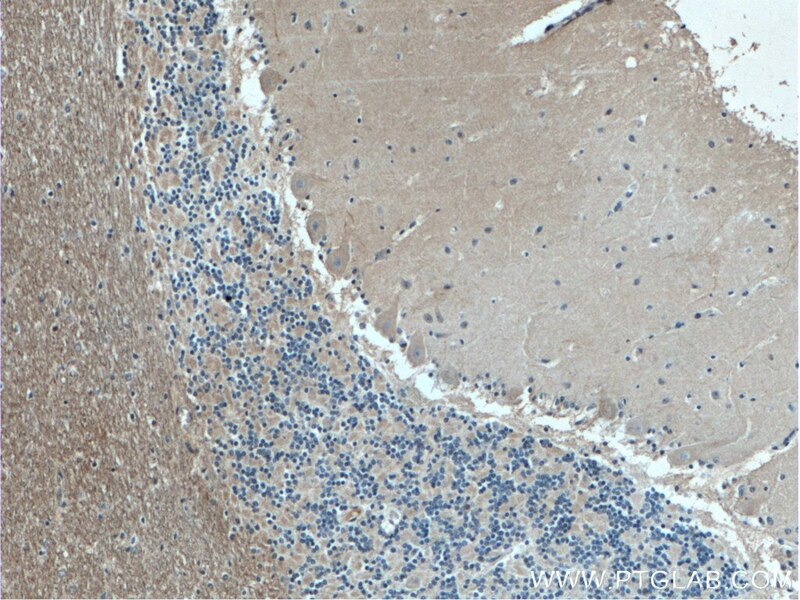 Immunohistochemical analysis of paraffin-embedded human cerebellum tissue slide using 66054-1-Ig( ARHGDIB antibody) at dilution of 1:400 (under 10x lens) heat mediated antigen retrieved with Tris-EDTA buffer(pH9). 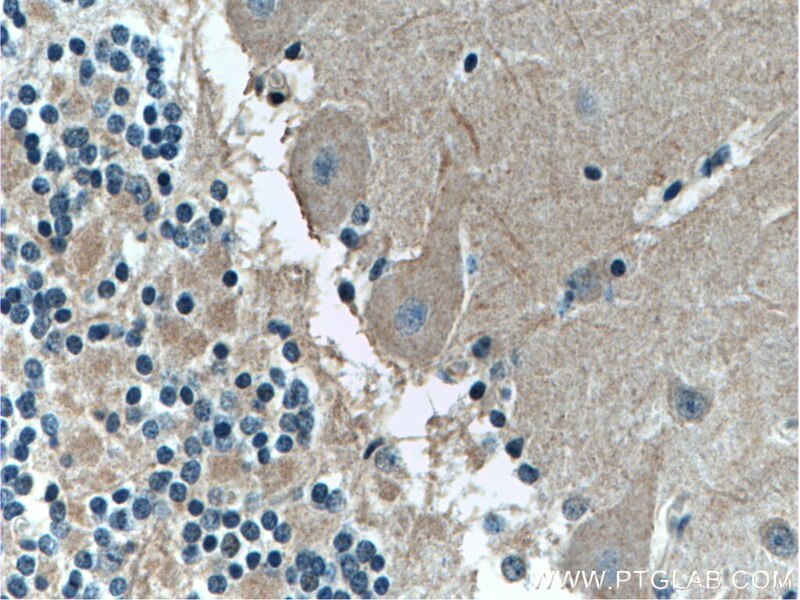 Immunohistochemical analysis of paraffin-embedded human cerebellum tissue slide using 66054-1-Ig( ARHGDIB antibody) at dilution of 1:400 (under 40x lens) heat mediated antigen retrieved with Tris-EDTA buffer(pH9).